Loft ladders give access to unused storage space in any home. Available to suit a variety opening sizes and celling heights, our loft ladders allow for safe and easy access to loft space and are constructed using only the best materials. They have strong rungs which are designed to withstand pressure and weight and are comfortable for the user. Each set is designed for quick installation and maximum accessibility, making our range of loft ladders ideal for homes as well as storage areas in factories and offices. We supply a wide range of loft ladders in a variety of styles and sizes, from stylish timber sliding ladders to contemporary Concertina designs, which are available ex-stock and for next day delivery. Our extensive range of loft ladders are all crafted from top-quality materials ensuring a sturdy, durable, and long-lasting access solution. We stock hardwearing aluminium loft ladders as well as timber loft ladders for a pleasing aesthetic and virtually silent operation. 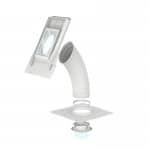 Each set has D-shaped rungs, for comfort, providing a horizontal surface to stand on to ensure a user is secure but comfortable when use for a prolonged duration. 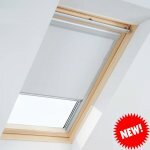 All products are suitable for use with all types of lofts and come complete with installation details and instructions. We pride ourselves on providing a reliable, cost effective service. We aim to supply customers on time and at the right price, whilst offering a level of customer service unheard of in this market place. We have already earned a very strong reputation for quality and reliability and this is something that will develop further as the company expands. Whether you are a systems company, fabricator, installer, construction company or general builder, we look forward to working with you! Please call us on 01623 624500for more details and prices on our full range of loft ladders.